Slugpocalypse Now - Methods for Slug Control May 14, 2015 Lurking deep in gardens across the worlds, Slugs wait in their millions to prey upon unsuspected young plants and anything else a gardener might care to put in .. 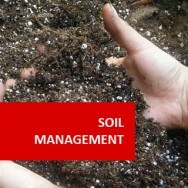 Soil Management - Horticulture course online. The Soil is a living biological ecosystem that must be managed to the benefit of the crop and to the broader ecosystem of the region. The reason we investigate soil and its characteristics it to understand it in relation to plant growth, how to manage and manipulate it without causing damage, how to improve it generally or how to modify it for the growing of specific crops. 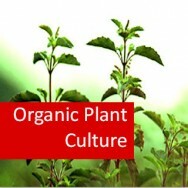 Good soil conditions are critical to the healthy growth of most plants. 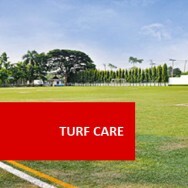 Nutrient levels, pH, salinity, depth, texture (properties of sand and clay), structure (form and arrangement), porosity (air space), consistence (the ability of soil to withstand rupture) and even colour can affect plant growth independently or interdependently. Over eight lessons this course will develop an understanding of physical and chemical properties of soils, the ability to carry out simple tests and determine soil characteristics, and to decide ways of treating a soil to improve its ability to grow plants. This course also prepares you to sit for RHS modules and acquire credits in the RHS advanced certificate or diploma. It is specifically designed for use with ornamental gardens, landscaping, container growing, and turf situations. 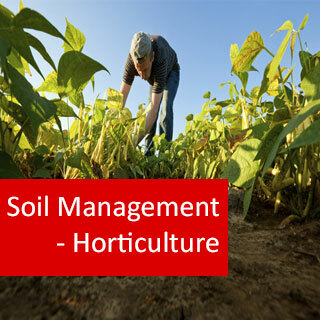 Analyse the effects of different soil management methods.